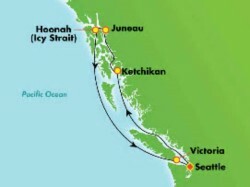 Due to the overwhelming popularity of the inaugural season of the new Norwegian Bliss in Alaska, an enhanced Norwegian Joy will join the Bliss to offer round-trip Alaska sailings from Seattle in 2019. The introduction of the Norwegian Bliss was the most successful launch of a new ship in the 51-year history of Norwegian Cruise Line®. 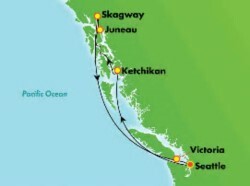 It is the first cruise ship designed to showcase the pristine natural environment of Alaska. The crown jewel of this ship is its 180-degree Observation Lounge, a sprawling public area where guests can take in Alaska’s calving glaciers, mountain vistas, sheltered fjords and abundant marine life. Norwegian Joy, which debuted in 2017 and is currently sailing in Asia, is a sister ship to the Bliss. Prior to her arrival in Seattle, Joy will get a $50 million makeover to give her nearly identical designs and features to the Bliss. 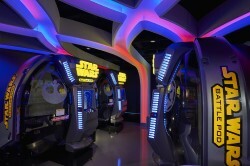 The ship already has an Observation Lounge, laser tag, the first go-kart track at sea and the Galaxy Pavilion, which offers immersive virtual reality experiences, thrilling simulator rides and interactive video walls. New additions will include a Starbucks® store, enhanced restaurant and bar venues, and new entertainment options. Accommodations aboard the Norwegian Joy will include a new Concierge category of spacious, luxury staterooms with concierge service, private dining and priority embarkation and disembarkation. Book select Norwegian Joy and Norwegian Bliss sailings of three nights or longer by December 31, 2018, and choose from up to five free offers. Studios and Inside staterooms pick one perk; Oceanview; Balcony and Mini-Suite staterooms pick two; Concierge staterooms pick three; Suite and The Haven guests get all five offers! Offer is not applicable to categories IX, OX, BX or MX. New bookings only. Based on availability. Terms and conditions apply. 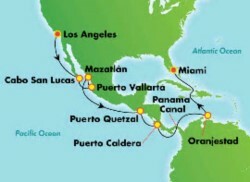 Sail to Alaska & the Mexican Riviera & Through the Panama Canal Aboard the Norwegian Joy in 2019! Call 855.645.2215 to Book Your Norwegian Joy or Bliss Cruise Today! *NORWEGIAN CRUISE LINE FREE AT SEA OFFER TERMS & CONDITIONS: Offer applies to bookings made through December 31, 2018. 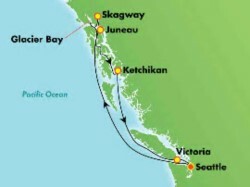 Applicable Sailings: 3 nights or longer sailings. Offer is not applicable to categories IX, OX, BX, or MX (Sail Away Categories). Norwegian Sky and Pride of America sailings are not eligible for this offer. Offer excludes 3 – 5 night Norwegian Sun sailings departing from Port Canaveral. Pride of America in Hawaii offer details listed under Hawaii Free at Sea Terms & Conditions. Norwegian Sky offer details listed under Free at Sea All-Inclusive Terms & Conditions. Studios & Insides: Pick 1 Offer. Oceanviews, Balconies & Mini-Suites: Pick 2 Offers. Concierge: Pick 3 Offers. Suite & Haven: View the Suite & Haven Terms & Conditions for offer details. Choose from: Ultimate Beverage Package; Specialty Dining Package; 250-Minute Internet Package; $50 USD Per Port Shore Excursions; 3rd & 4th Guest Free (select sailings). Free at Sea choice(s) must be selected at least 24 hours prior to sailing and cannot be changed on board. Bookings made within 24 hours to departure can choose promotion at time of booking. Offer is for new individual FIT reservations and new speculative groups delegates. Qualifying new individual FIT reservations can be moved into an existing speculative group and count towards tour conductor credits. Offer is not valid for affinity or tour operator groups and cannot be held as group block. Offer is capacity controlled and can be withdrawn at any time. 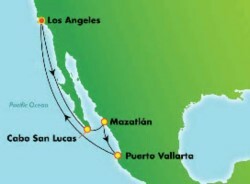 Singles paying 200% of voyage fare qualify. Guest cannot substitute or customize this offer. All guests in stateroom must choose same offer. Government taxes, port expenses & fees, discretionary on board service charges and/or gratuities are additional. Cancellation Fees also apply based on the booking/sailing date; therefore, Norwegian Cruise Line strongly recommends the purchase of travel protection on all bookings. Not applicable to chartered dates and group types: CMI OP EVENT, CMI OP LG EVENT, INCREG & INCLARGE. This is a cruise only offer. 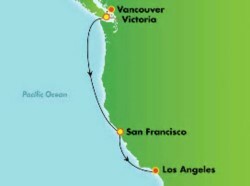 This promotion is not applicable on the land portion of cruisetours or bundles. No components included in this offer have any monetary value, are non-refundable and non-transferable. Offer and combinability with other promotional offers is subject to change at any time per Norwegian Cruise Line’s discretion. Other restrictions may apply. Applicable to NCL MIAMI, NCL INTL, AUSTRALIA, NCL BRAZIL, and NCL ASIA. Not applicable to CE and UK offices. Price is per-person based on double occupancy, cruise only for select sailing date and stateroom category, and includes port charges. Government taxes and fees are additional. 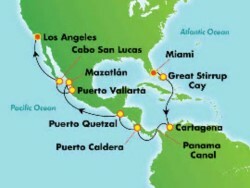 Prices, additional fees, itineraries, and availability are subject to change without notice. Fares shown are in U.S. dollars for new reservations only and are subject to availability. Deposit of $250 due at time of booking. Please call us at 800.459.1597 for more information. Onboard service charges are additional, may be automatically added to your onboard account, and are subject to your discretion. Certain terms, conditions and restrictions may apply. This offer may not be combined with any other offer/promotion and may be withdrawn at any time. Not included: air transportation, airport transfers, car rental, and items of a personal nature, restaurant fees, some beverages, photographs. Great Vacation Destinations, Inc., doing business as Bluegreen Travel Services, is located at 12400 S. International Drive, Orlando, FL 32821. Great Vacation Destinations is a registered Florida Seller of Travel, license no. ST36225, a California Seller of Travel, Reg. No. 2083124-50 (Registration as a seller of travel does not constitute approval by the State of California), and Washington Seller of Travel, Reg. No. 602511860; and registered with the Airlines Reporting Corporation (“ARC”) number 15-72225-4. Void where prohibited by law and where registration and/or licensing requirements have not been met. In the event of a conflict between Norwegian Cruise Line’s Details of Participation and Great Vacation Destinations’ Details of Participation, Norwegian Cruise Line’s Details of Participation shall govern.